The NCAA currently has over 20,000 international student athletes enrolled in American universities. Canada (4,166), the United Kingdom (1,776) and Germany (1,139) send the most athletes. Here at Georgia State, out of 55 international athletes, there are 14 from England and five from Germany. Tennis has the highest percentage of foreign athletes in the NCAA for both men’s (62 percent) and women’s (59 percent). Men’s soccer had the highest number of first-year international athletes with 312, but tennis is a close second with 309. Assistant men’s soccer coach Ricky Davey is over most of the international recruiting for soccer. Having grown up in Great Britain, about an hour from London, Davey is able to use his knowledge to find some of the best athletes from the best clubs. Other athletes also help convince recruits to come to Georgia State. The location of Georgia State also offers another appeal to students. Athletes have an opportunity to live in the middle of a major city, something few other universities can offer. Six of the 11-man squad for tennis are from abroad, from England, France, Latvia and Brazil. The women’s tennis team has only one player from the United States. In 2014, around 91,000 high school tennis players in the U.S. had to compete for only 2,417 available college scholarships. The reason international athletes are so sought after is evident when looking at the numbers. Of the top 50 ITA male singles players, 70 percent were born in another country. Diego Padilha is a freshman tennis player from São Paulo, Brazil who is here on a tennis scholarship. Padilha studies economy at the Robinson College of Business, which is one of the top business schools in the nation, another selling point for coaches. American universities are some of the best in the world, and they can be very tough academically. student-athletes are obligated to rigorous training schedules and must travel regularly for competitions while still maintaining a good academic standing. Athletes also have to forfeit getting paid to abide by the NCAA’s amateurism policy. The policy forbids any form of payment or compensation beyond what’s “necessary” as defined by the NCAA. Coach Davey spoke on the same topic, stating that it’s hard to find a university system quite like the United States. “It’s very different. It’s very rare that you can mix the two,” Davey said. “There’s nothing like, I think I can speak for most countries in the world, I don’t think there’s anything like the system here, which is great. High school athletes from foreign countries may even have to forgo competitions to attend school, a problem they wouldn’t encounter in the U.S. Here at Georgia State, and at almost any high school or college, athletes are excused from all academic activities missed due to athletic obligations. Coaches have a huge role in acquiring talent from overseas. They typically make the initial impression, an impression that is remembered by foreign prospects. Most athletes from overseas never see campus in person until they arrive, so they have to make a their decision off of research and word of mouth. 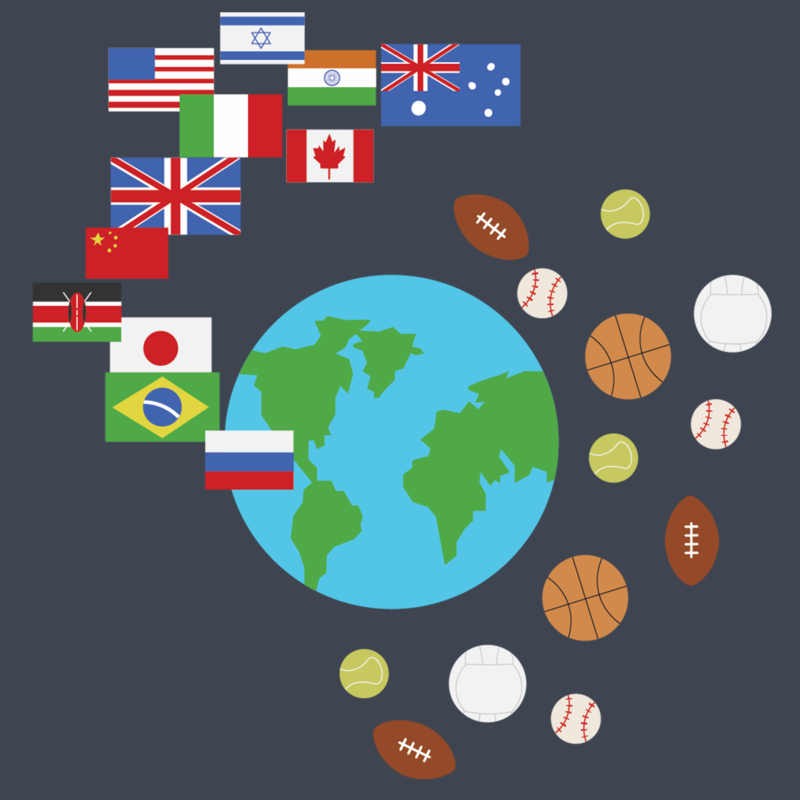 Some companies specialize in connecting international athletes to universities here in the states, helping bridge the gap between foreign athletes and college coaches. Overboarder, for example, helped Prop get recruited by Georgia State. Overboarder has a catalog of college coaches and programs that they reach out to on behalf of athletes who hire them from other countries.